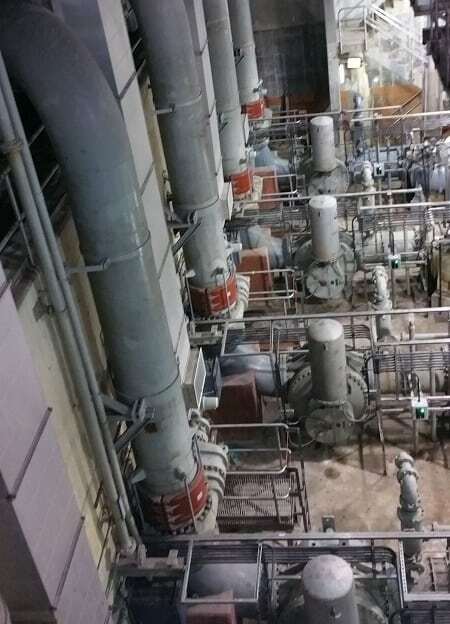 Like all mechanical systems, water and wastewater treatment plants require ongoing maintenance but shutdown is costly and risky, so unnecessary interruption of service is disadvantageous on all levels. 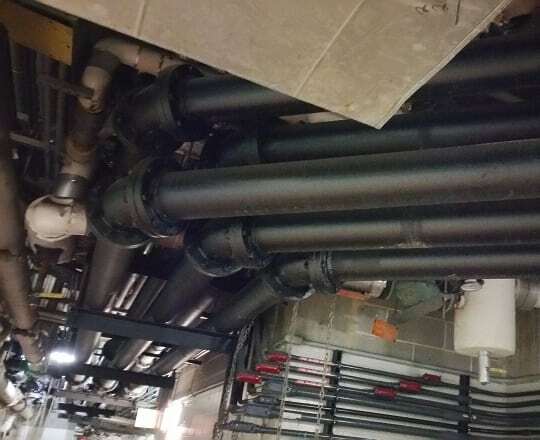 The facility engineer’s challenge is to stay compliant and on top of required maintenance needs with minimal shut down time and cost, so SoniTech NDT’s noninvasive pipe survey services have proven to be an indispensable resource for effective mitigation planning at water treatment plants and wastewater facilities. Ultrasonic Localized Guided Wave (ULGW) and traditional UT thickness testing are used to nondestructively evaluate these critical piping systems, typically without system shutdown and therefore without the expenses and risks associated with opening the system. Pitting from corrosion, and velocity erosion wall loss, can be safely and accurately measured from the outside of the pipe while the system remains operational. On many systems, it is also possible to detect corrosion buildup, scale, and struvite that will hinder flow, decrease efficiency, and potentially lead to failure.